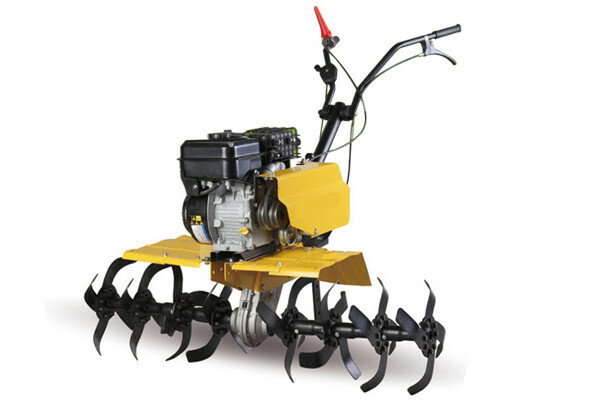 MD produced the first rototiller in 2001. 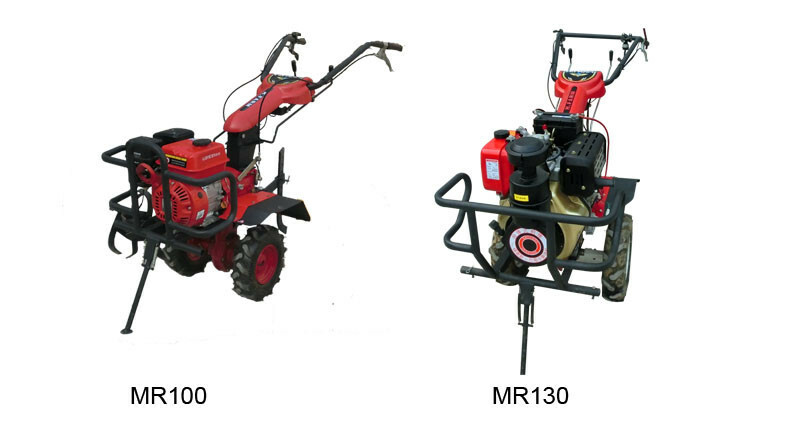 We have since 2001 achieved a long-term expenrience in manufacturing rototillers and rototiller ranging from 2HP up to 10HP. 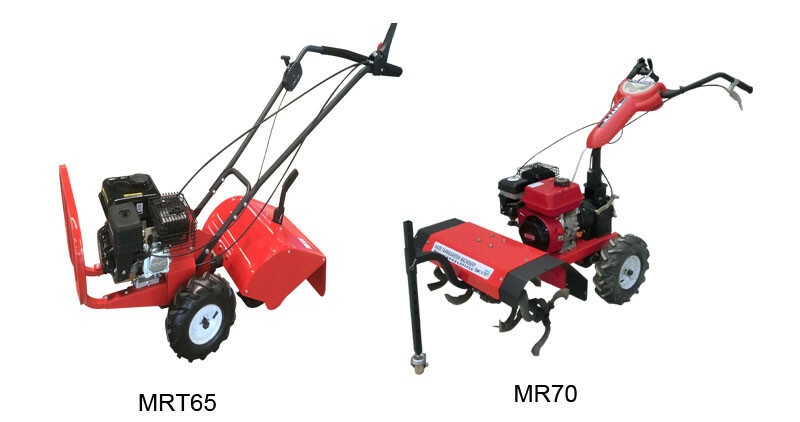 MD was one of the first Chinese companies that entered an OEM agreement to manufacture customized products to a major EU rototiller manufacturer. 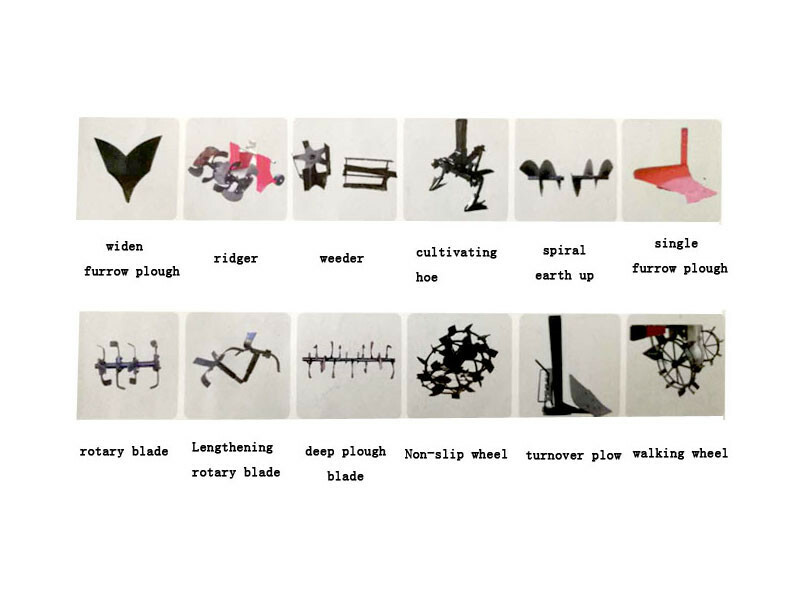 Main dividing garden rototiller and farm rototiller two kinds. 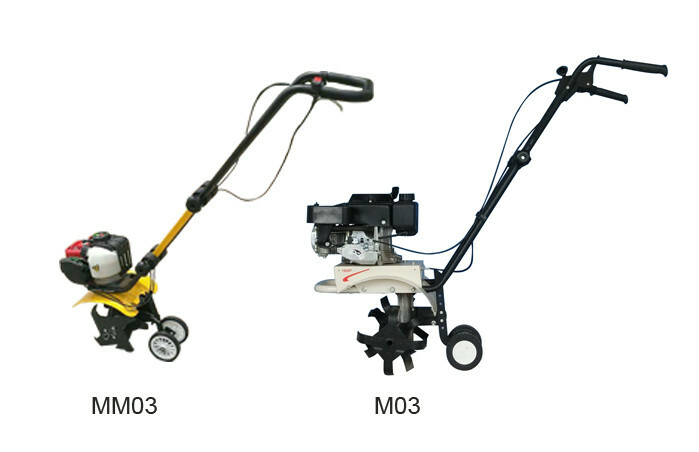 First, garden rototiller, according to your garden area, choose different sizes model. 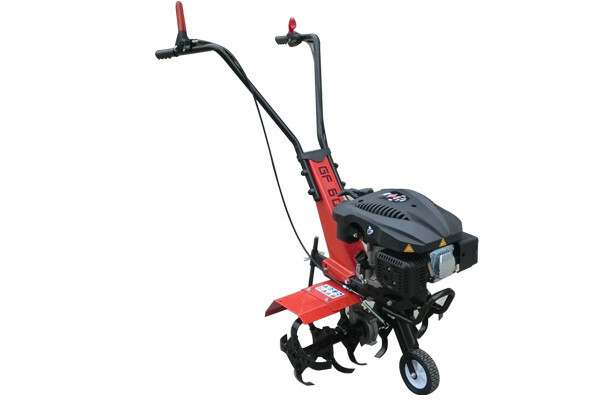 These tilling machines are particularly suited for the medium size vegetable garden. 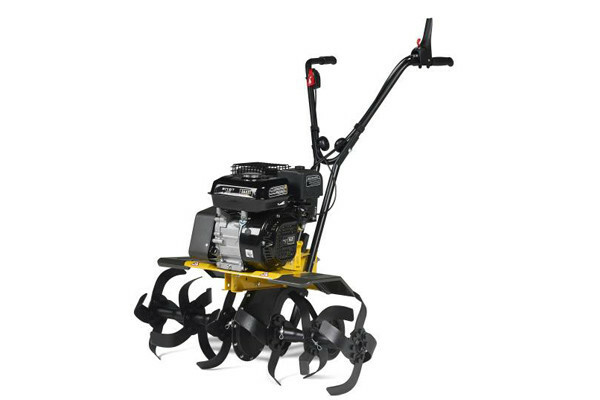 All models have heat hardened bolted steel blades with a lifetime warranty against breakage. Available with either fixed or adjustable handlebar. 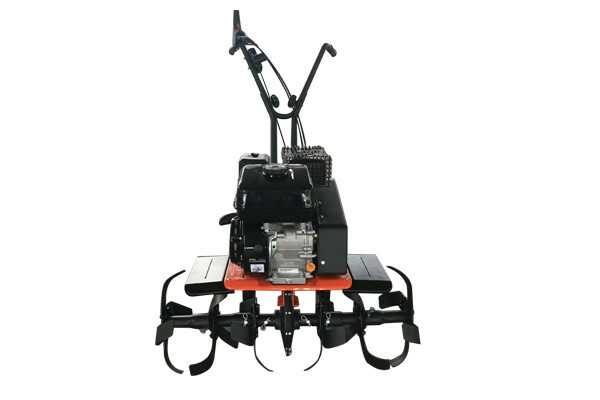 Model equipped with reverse gear the machine is even more manoeurable in narrow places. 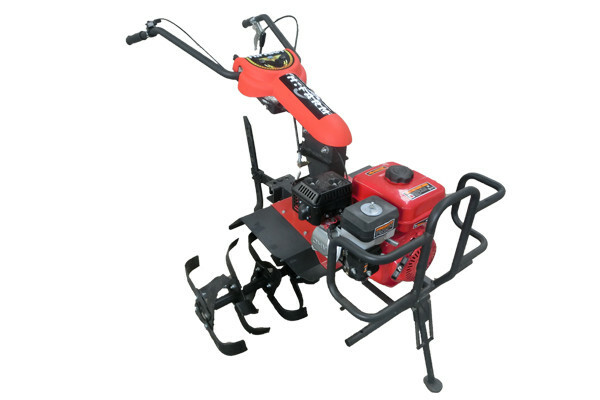 The machines are available with either B&S ,Mitsubishi or Loncin engines. Available accessories : weed wheel. Easy height adjustment,compact under storage. 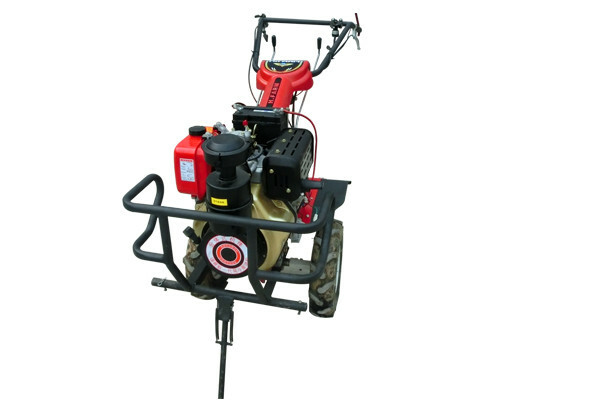 Adjustable depth skid provides maximum comfort. 1. 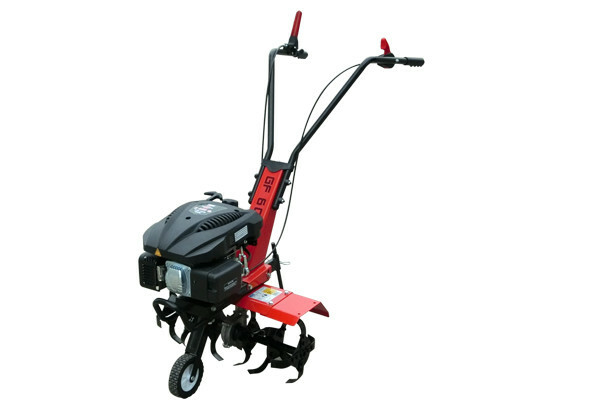 A strong 2 wheeled tractor for cultivation-transportation-weeding-ridging etc. 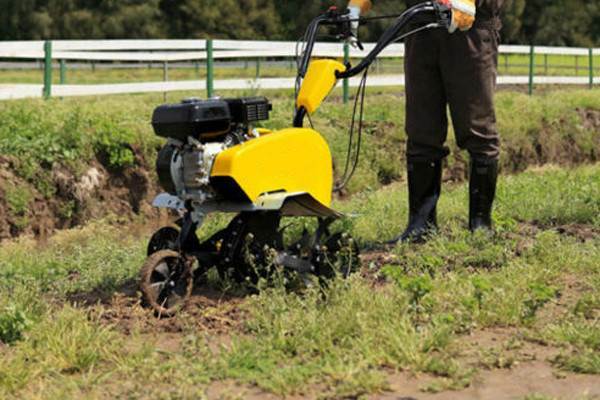 2.Working width from 70cm to 120 cm, it also can be used in between rows of vegetables. 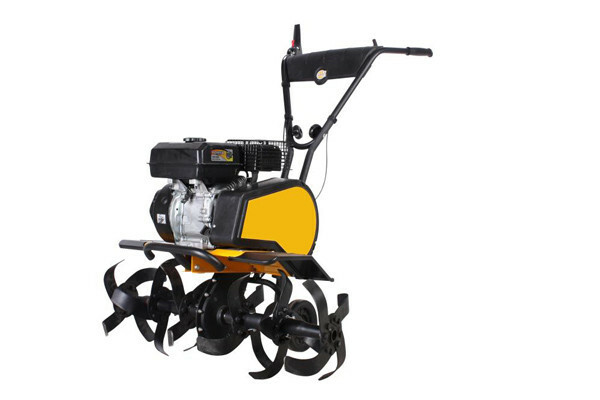 3.Bolted heat hardened steel blades with life time warranty against breakage. 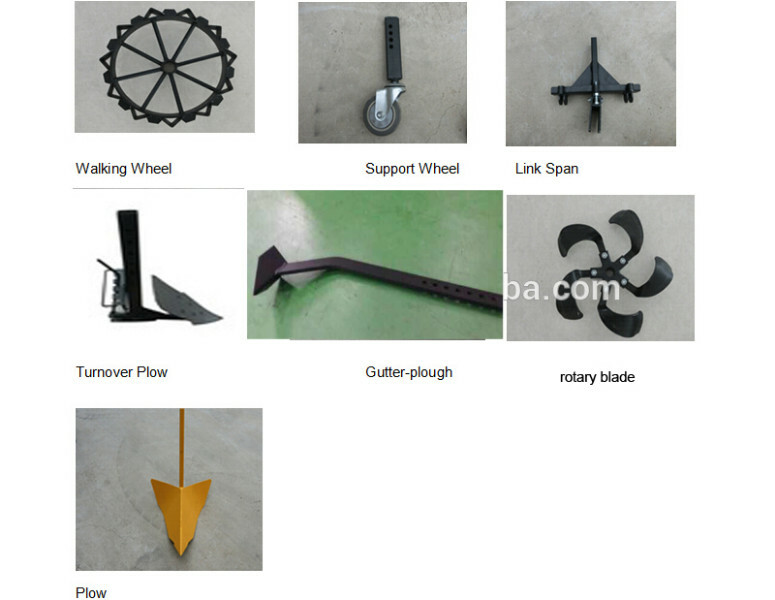 Available accessories : walking wheel , turnover plow, single furrow plough, rotary blade, widen furrow plough, ridger, weeder, cultivating hoe, spiral earth up, lengthening rotary blade, deep plough blade, non-slip wheel. 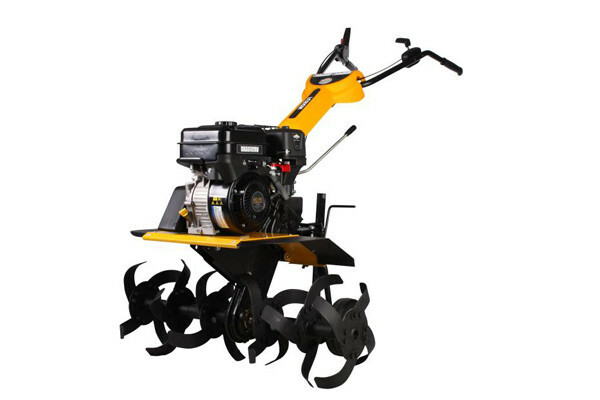 MD are from China small garden and agricultural machinery supplier. 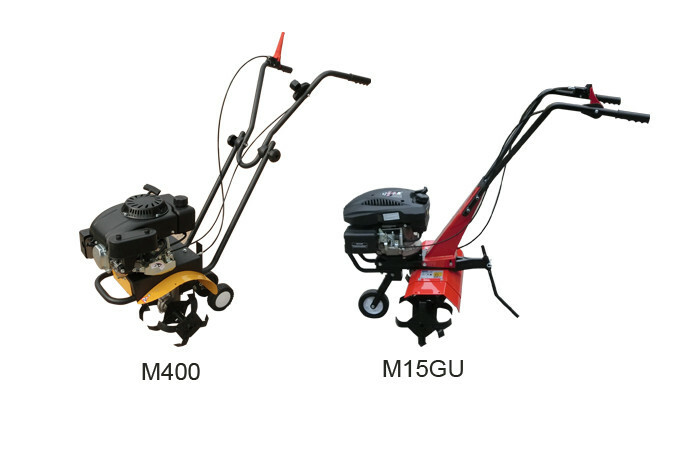 We specialized in the production of garden 17 years, the factory lives in China's northern city, Yantai. 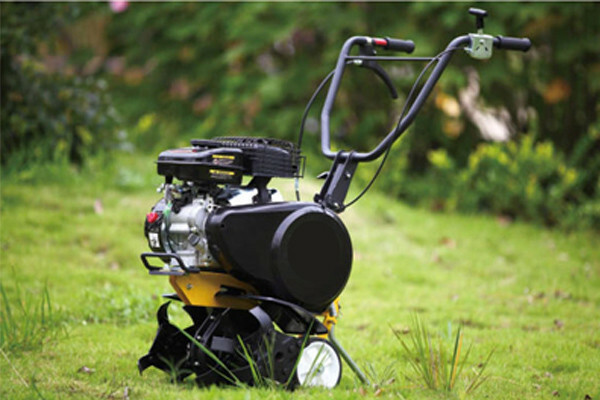 Here is the home of garden machinery, there are many garden machinery factories here. 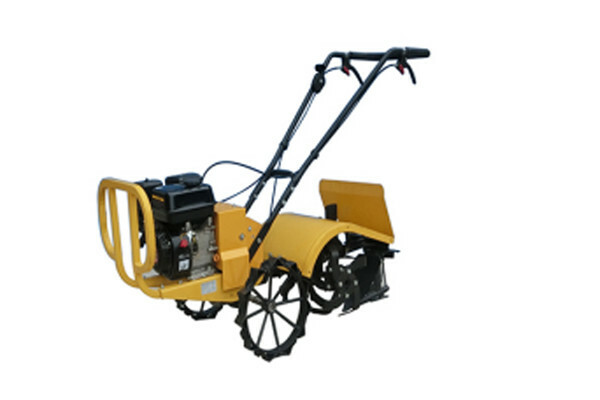 We can provide you with mature garden machinery products, mature product quality control, mature custom service and mature after-sales service. 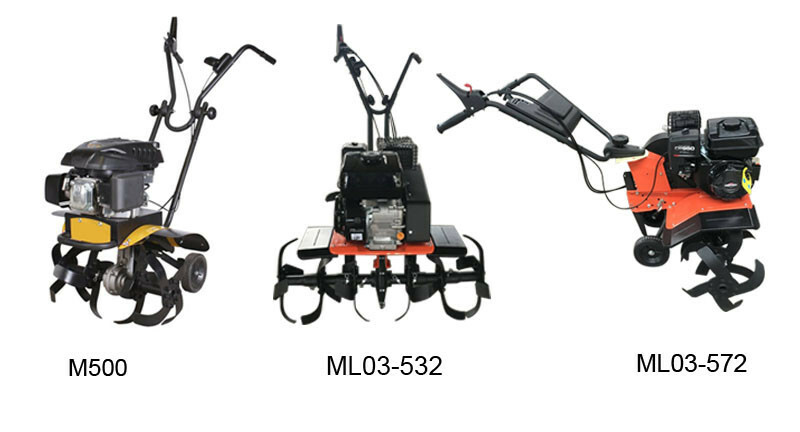 The range of our products are mainly cultivator/tiller , walking tractor, brush mower, flail mower, power broom, munual sweeper, snow thrower, log saw ,curb machine, wheelbarrow, etc. We look forward to your inquiries and negotiations.